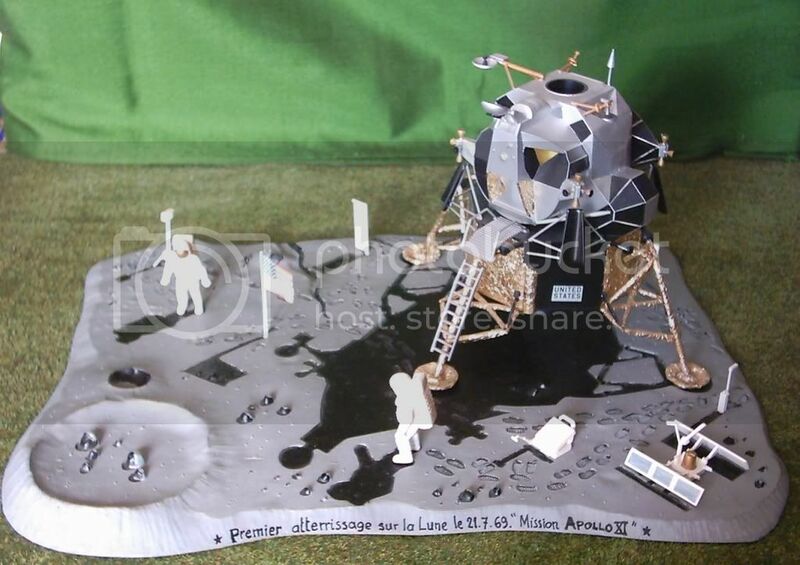 Here is the kit releast in 1979 by Monogram in 1/48 scale for the 10th anniversary of the first moon landing on 21 July 1969. To see is the shdow painted black on an engraved aera on the base... I found this idea (from Monogram) very good ! 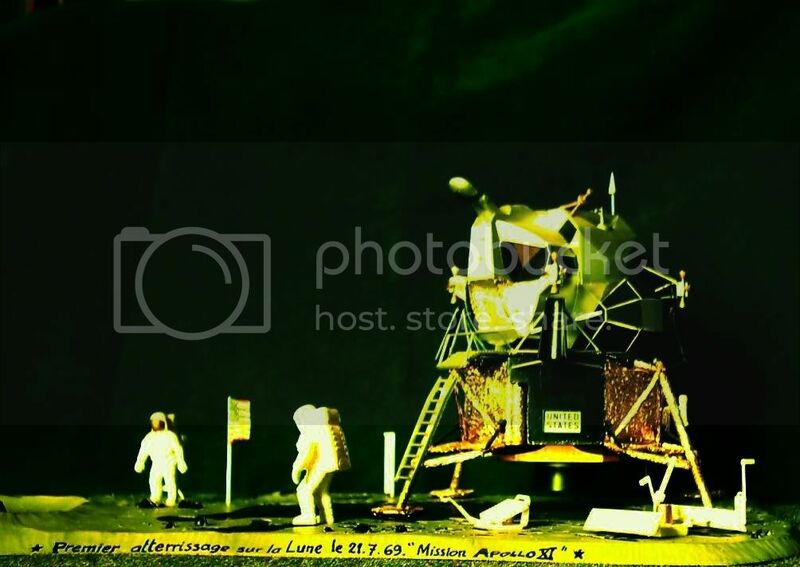 Another photo with the rendering (at least I tried to render it) of the daylight on the Moon. I remember this kit just from images and it is real nice looking. As I know they also have Saturn V rocket. From all of this spacecrafts I had only Vastok with Jurij Gagarin inside.